In a Twitter thread posted Thursday morning, Representative Noel Frame accused the Association of Washington Business (AWB) of “some seriously breathtaking hypocrisy” over their call to bridge the urban-rural divide, and their simultaneous opposition to a rural B&O tax reform bill. 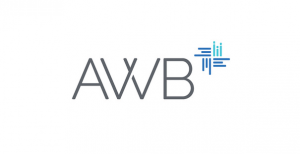 AWB says that while they fully support lowering the B&O tax rates for manufacturers, they believe tax relief should apply to all counties, not just the 30 counties specified in the bill. The legislation Johnson is referring to is HB 2947, a bill that would set up preferential B&O tax rates for manufacturers in counties that either have a population density of less than 100 people per square mile or are smaller than 225 square miles. In other words, the bill would have reduced B&O tax rates for 30 of Washington’s 39 counties over the course of four years. During the public hearing, Johnson testified that the tax rate decreases should apply to all counties, not just the rural ones outlined in the bill. “The bill that Rep. Frame refers to would have excluded 9 counties, including some that are largely rural such as Benton and Kitsap,” said Jason Hagey, Vice President of Communications at AWB, in an email. Representative Frame claims AWB opposed the proposed bill because they would rather support the big businesses on the west side of the state rather than helping rural manufacturers. AWB provided a full response, which you can read in its entirety here.